Over the past 8+ years ZENADIAN has been fully engaged and committed to a set of strategic projects. This included performing top-managerial positions in partner companies and strategic consulting arrangements with several businesses. Please find below selected references of our company and our management team. As a company in multimedia publishing business, we are indeed very pleased with our cooperation with company Zenadian Ltd.
With her rich experience, Helena was hepling and consulting us in all phases of our business, starting with choosing the right slogans for our company and for our individual products, consulting us on topics such as online sales pages concept, copywriting and packaging solutions, all the way to the strategic decisions on how to sell our products and how to develop our business. Every kuna invested into this consultancy has resulted in multiplied time-savings, effort-savings and money-savings, as well as an increase in our profits. We warmly recommend a cooperation with the company Zenadian to any enterpreneur. Advice, guidelines and reccommendations that I had gotten in the course of cooperation with Mrs. Zentner have helped me greatly while I was working as Executive Director at Art of Living Croatia - in particular it helped both our company's growth and development, and it helped boost my own knowledge and professional development as well. At the moment I am running my own successful Shakti Center in Zagreb, and still I occasionally seek for always useful consultancy of Mrs. Zentner. 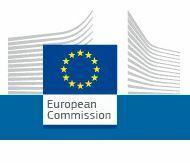 Our Management is actively involved as Experts for Europewide Innovative Projects Evaluation for the European Commission. - including projects from Italy, France, Ireland, UK, Spain, Portugal, Croatia, Slovenia, Serbia, Israel, Netherlands, Germany, Scandinavia, Baltics, and other regions. Areas we work on include Advanced Internet Services, Artificial Intelligence, Virtual Reality, Internet of Things, Online Marketplaces, Innovation Platforms, Fintech Projects, Medtech Projects, Nanotechnologies, Smart Automation and Processes Digitalisation and other innovative and emerging markets and technologies. Would You Like to Become a Satisfied ZENADIAN Partner? ​If You are considering making changes in Your business or if you are thinking about new projects, feel free to get in touch. We will be glad to talk and see if we could help you make your plans come true easier and faster. We help You implement practical innovation in Your business - and profit from it! We help You reshape Your company wisely and answer to the new market challenges! We help You get from idea to profits easier and faster! We help You select the right e-business models that make sense for Your particular Business! ​Shedule Your initial meeting: simply click on the button below and e-mail us with your proposed meeting timings! At the meeting we will listen to Your needs and check where we can best support You to fastly reach Your desired results. & Find Out the Answers to Your Questions!